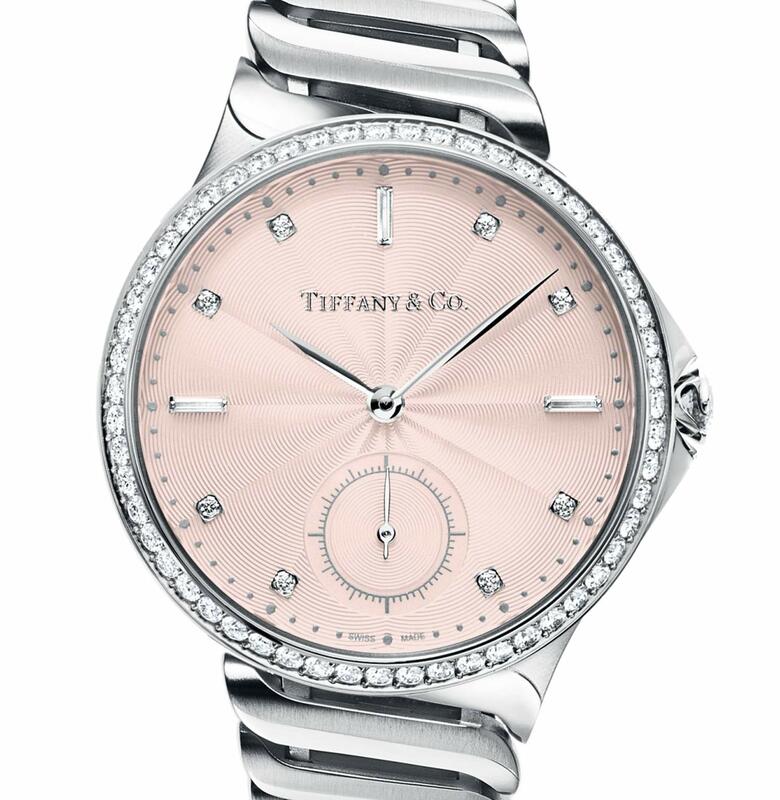 The new Metro is the latest Tiffany & Co. watch collection, one which combines fine jewelry design and no-compromise Swiss craftsmanship. Reinforcing Tiffany’s diamond legacy (the brand has been a destination for rare and dazzling diamonds since 1848 when founder Charles Lewis Tiffany purchased important gemstones from European aristocrats and royalty), each timepiece features a unique round brilliant diamond crown that is assigned an individual serial number, making each watch personal to the wearer. 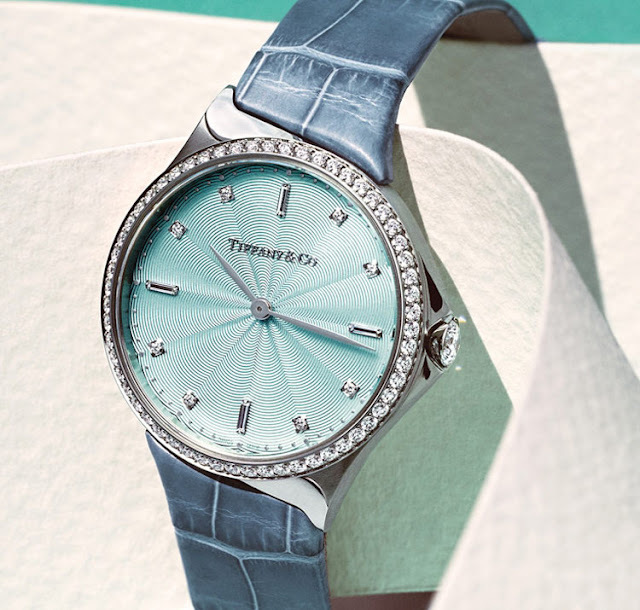 The fluid lines of these models create a dynamic design which is perfectly in line with the energetic town where Tiffany was founded in 1837, New York. A wide range of dials, cases and straps makes it possible for a woman to find the favourite combination. 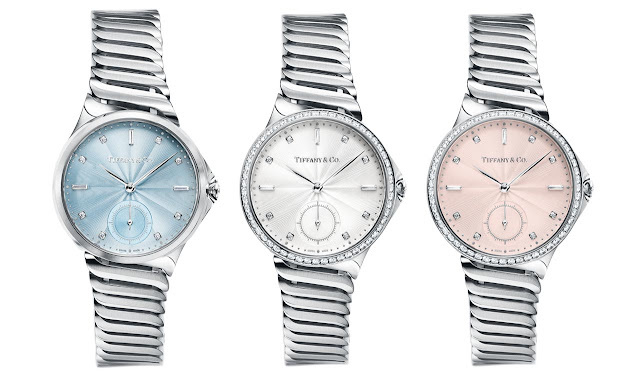 The Metro watches are available in two main sizes: three-hand 34 mm and two-hand 28 mm. 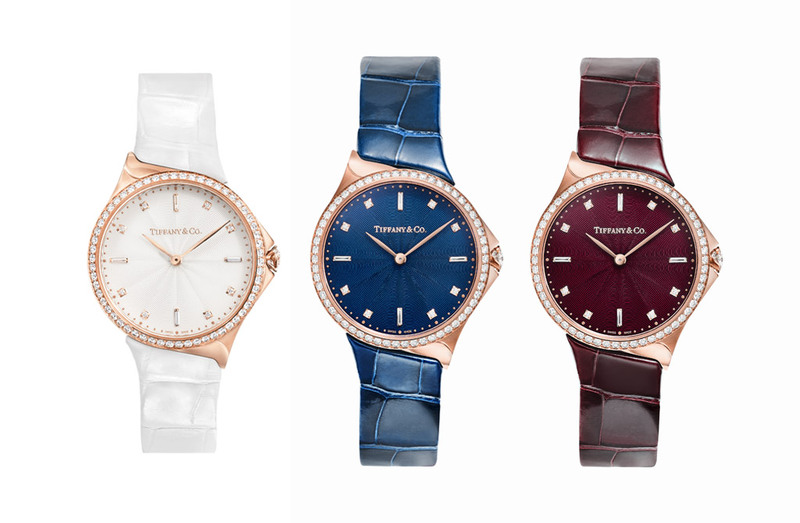 In stainless steel or rose gold, the three-hand 34 mm version comes with lacquered dials (ice blue, pink, white) with flinqué finishing, seconds counter and silver or gold poudré minute track. 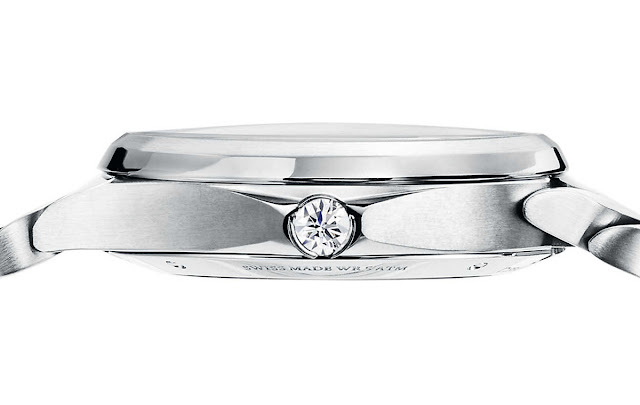 Eight round-cut and three baguette-cut diamond serve as indexes. The crown is enhanced by a serialized .31-carat diamond. And to add even more preciousness the bezel can be set with set with round brilliant diamonds for a total of 1.39 carats. 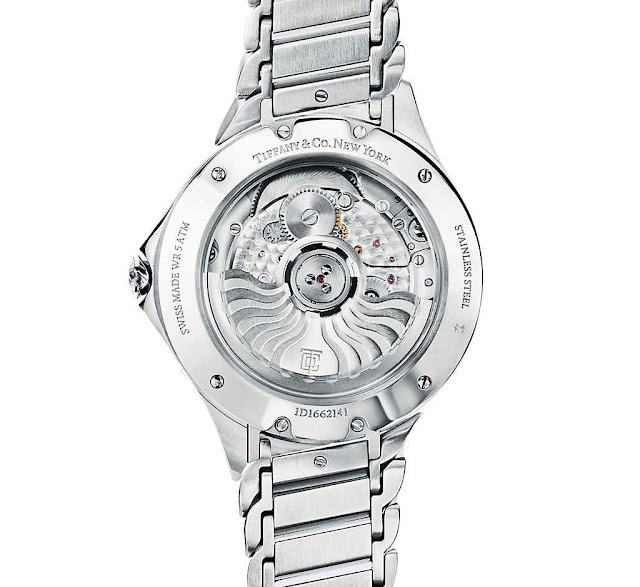 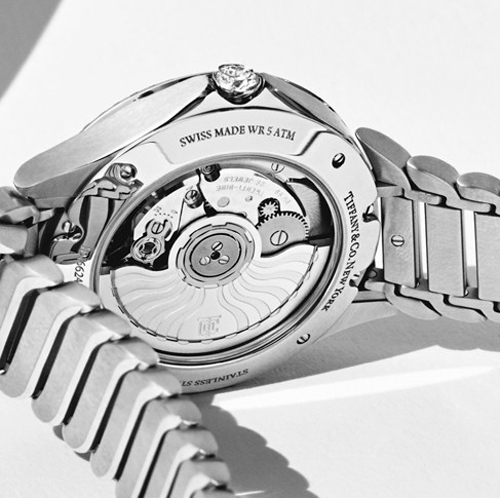 The self-winding mechanical movement offers a power reserve 42 hours. 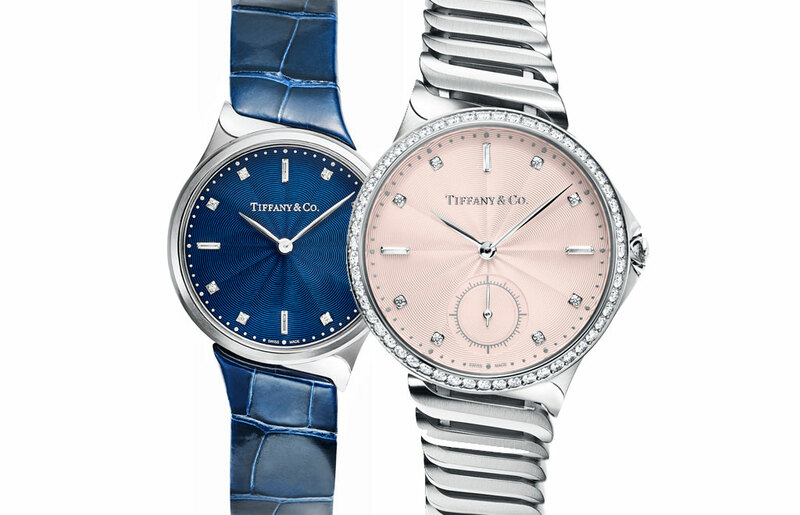 Size apart, the two-hand 28 mm version differs for the dial without small seconds sub-dial and for the quartz movement which powers it. 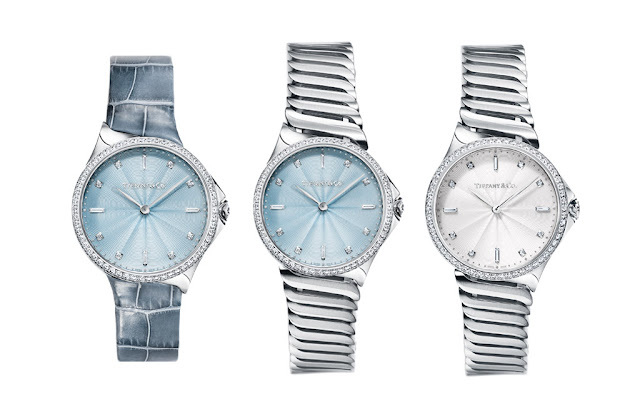 Tiffany Metro Collection. The new Metro is the latest Tiffany & Co. watch collection, one which combines fine jewelry design and no-compromise Swiss craftsmanship. A wide range of dials, cases and straps makes it possible for a woman to find the favorite combination. 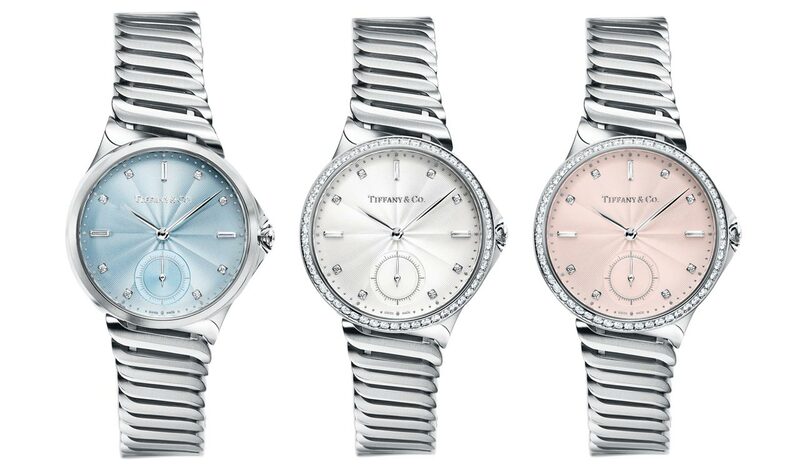 The Metro watches are available in two main sizes: three-hand 34 mm and two-hand 28 mm. 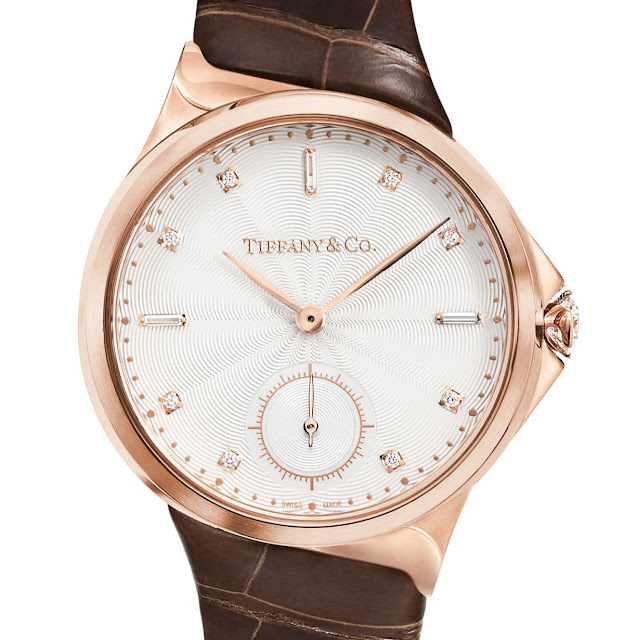 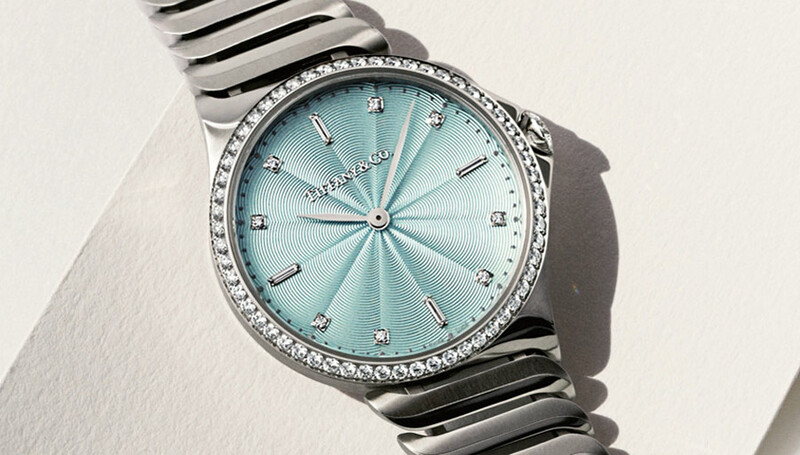 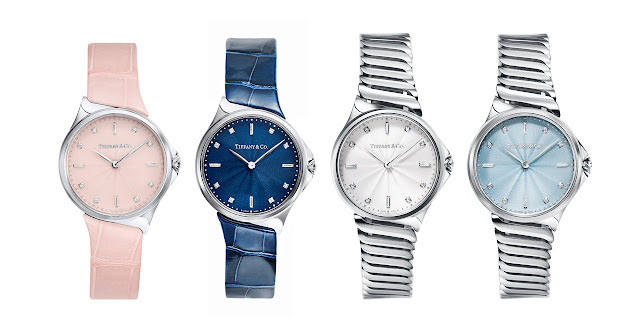 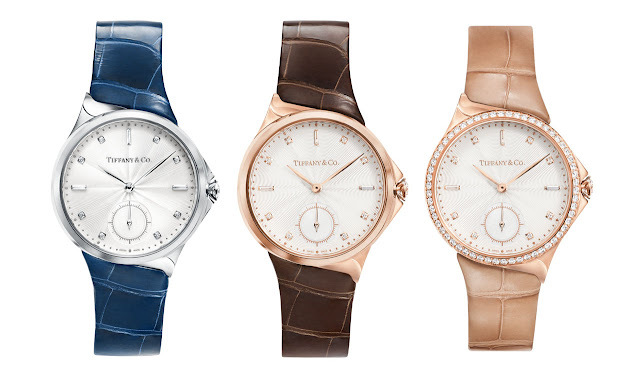 The watches of the Tiffany Metro collection are water resistant to 50 meters / 160 feet. Prices starting from Euro 4,300 / US$ 3,950.